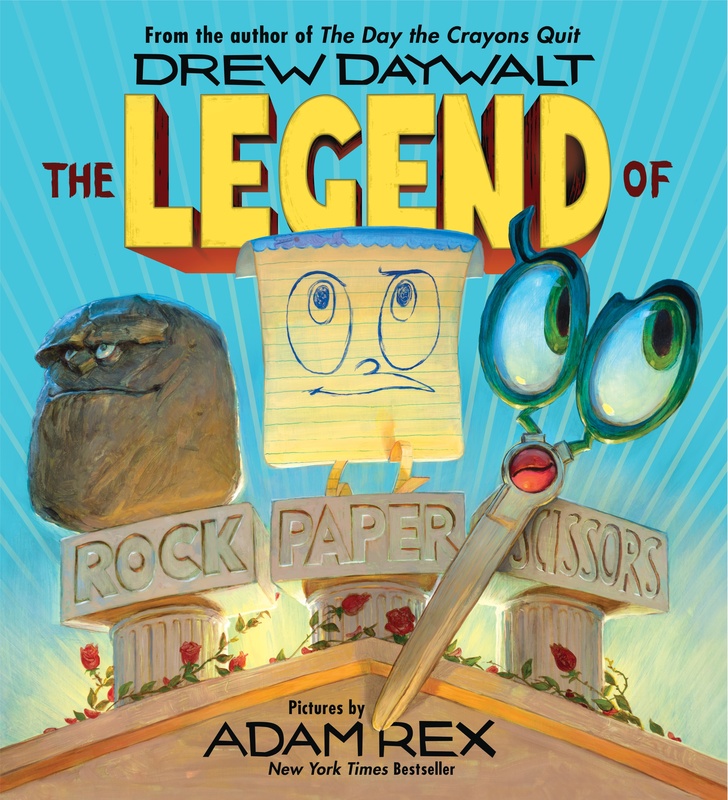 From bestselling creators Drew Daywalt, author of The Day the Crayons Quit and The Day the Crayons Came Home, and Adam Rex, author-illustrator of Frankenstein Makes a Sandwich, comes a laugh-out-loud hilarious picture book about the epic tale of the classic game Rock, Paper, Scissors. Visit Adam Rex’s website. Book jacket image and book description courtesy HarperCollins Children’s Books. Used with permission.